Much work within digital linguistics has focused on the problem of developing concrete methods and general principles for encoding data structures designed for non-digital media into digital formats. This work has been successful enough that the field is now in a position to move past “retrofitting” digital solutions onto analog structures and to consider how new technologies should actually change linguistic practice. The domain of grammaticography is looked at from this perspective, and a traditional descriptive grammar is reconceptualized as a database of linked data, in principle curated from distinct sources. Among the consequences of such a reconceptualization is the potential loss of two valued features of traditional descriptive grammars, here termed coverage and coherence. The nature of these features is examined in order to determine how they can be integrated into a linked data model of digital descriptive grammars, thereby allowing us to benefit from new technology without losing important features intrinsic to the structure of the traditional version of the resource. This paper analyzes the structure of books containing grammatical descriptions and builds up on work by Good (2004). It argues that the discussion of morphology, syntax, semantics, and intonation found in grammatical descriptions can be seen as a collection of interdependent form-meaning-pairs. These form-meaning-pairs form part of the larger structure of frontmatter, mainmatter and backmatter (Mosel 2006) and have themselves an internal structure which includes, among other things, linguistic examples as formalized by Bow et al. (2003). Any reasonably complete description of a language is a complex object, typically composed of a grammar, a dictionary, and a text collection with internal relationships that can be represented as hyperlinks. The information would be fully searchable, links between text and media could be implemented, and the presentation would be based on a well-defined data structure with advantages for archiving and reusability. We present a small fragment from Heath’s Nunggubuyu text collection with links to parts of the other elements of the description to demonstrate the benefit which this approach can bring. This initial step involves a certain amount of hand-coding but establishes a basis for the necessary data structure which will then be used in a second phase where we develop techniques for the automatic processing of scanned versions of Heath’s work. Grammatical descriptions written with the kinds of structure we are developing, or capable of being converted to that structure (while being `born digital’) are likely to be in short supply. Presentations of old materials in new formats will inform new electronic grammars, and help gain the acceptance of the linguistic community for preferred formats. Most of the work done in grammaticography focuses on the writing of grammars for an audience of linguists, and more specifically, typologists. In this paper, we present a grammaticographic model designed mainly to take into account the needs of minority language speakers, because they play a central role in the preservation of their language. However, since in minority language situations it is not possible to generate as many grammars as there are different potential end users, we propose a multilevel grammar, based on our experience as grammarian of Innu, a First Nation language spoken in Quebec (Canada). In this type of grammatical description, the first (main) level is addressed to non-specialist users, the speakers of the language being described, whereas grammatical material aimed at other users (such as linguists) is presented in secondary levels and is limited to core information. Our grammaticographic model was initially conceived for paper (printed) grammars, but we believe that electronic publication offers interesting solutions for multilevel grammars, while paper (printed) grammatical descriptions have greater limitations. The principles and techniques of language documentation developed during the last one and half decades and the sheer amount of corpora which have been compiled for endangered languages up to now will have an impact on grammar writing in particular with respect to the data base of grammars. On the other hand, advances in computer technology allow a closer link between corpus data which are the basis for generalizations and the grammatical description itself. The future the grammatical description of a language will not only present selected illustrative examples, but will also be linked to the entire set of corpus data that are the empirical basis for it. This makes generalizations transparent to the reader and open to falsification by the scientific community. The article critically examines the relations between the DOBES corpus, the analysis and the grammatical description itself. Special attention will be laid on the particular the two fundamental perspectives of a semasiological and an onomasiological grammar, can be translated into the various kinds of search and concordancing routines to be executed in the corpus analysis. We present a typology of searches descriptive linguists need to apply. This typology defines requirements with regard to the functionality of specific software to be developed. In the second part, the article presents a technical solution, a preliminary version of a database/concordancing software specifically designed to fulfill the functions and principles outlined in the preceding sections. 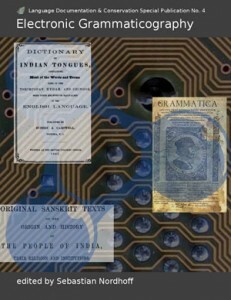 Although intrinsically closely related to the new field of language documentation, grammaticography is still mostly oriented to the book model, usually falling short of making use of related digital resources and hypertext functionalities. In this contribution, we show and discuss possible or easily achievable advances that can built on top of existing technology such as Language Archiving Technology as developed at The Language Archive at the MPI-PL: Exemplars and examples can be found in multimedia corpora of natural speech events annotated with ELAN and visualized with ANNEX, words and word forms can be linked to lexical entries in LEXUS online-databases, and the precise meaning of theoretical concepts can be given in ISOcat entries or related terminological databases. Independently from LAT, Wiki-technology provides online collaboration and version control and opens even the possibility to address different audiences in related sets of pages, but also poses challenges for the overall didactic structure of a descriptive work. As one of the formats, at least for export and exchange, the XML-based TEI may provide a suitable framework, although many specialized tags would still have to be introduced and formatting and functionalities for these tags still has to be implemented. Generally, synchronization between different versions (e.g., on-line and off-line) poses the most intriguing difficulties, but the advantages (also in terms of Nordhoff’s maxims) of hypertext grammars as proposed here are overwhelming. This paper describes how electronic grammars can be further enhanced by adding machine-readable grammars and treebanks. We explore the potential benefits of implemented grammars and treebanks for descriptive linguistics, following the discursive methodology of Bird & Simons (2003) and the values and maxims identified by Nordhoff(2008). We describe the resources which we believe make implemented grammars and treebanks feasible additions to electronic descriptive grammars, with a particular focus on the Grammar Matrix grammar customization system (Bender et al. 2010) and the Fangorn treebank search application (Ghodke & Bird 2010). By presenting an ex- ample of an implemented grammar based on a descriptive prose grammar, we show one productive method of collaboration between grammar engineer and field linguist, and propose that a tighter integration could be beneficial to both, creating a virtuous cycle that could lead to more effective and informative resources. It is time for grammatical descriptions to become reproducible research. In order for this to happen, grammar descriptions must be testable, not only by the original author, but also by other linguists. Given the complexity of natural language grammars, and the ambiguity of prose descriptions, that testing is best done using computational tools to verify a computationally implementable grammar. At the same time, grammars need to be useful – and testable – for the foreseeable future; that is, they must be archivable. Yet if a computational grammar is tied to particular computational tools, it will inevitably become obsolescent. This paper describes a means of creating computationally interpretable grammars which are not tied to particular computational tools, nor (to the extent possible) to any particular linguistic theory, and which can therefore be expected to remain useful into the future. In order to make such formal grammars simultaneously understandable to humans, they are embedded into descriptive grammars of a more traditional sort, using the technique of Literate Programming. The implementation of this technology for morphology and phonology is described. It has been used to create morphological grammars for Bangla, Urdu and Pashto which are both human-readable and computationally testable. This paper discusses the representativeness, coextensitivity, and scientific accountability of corpus-based grammatical descriptions of previously unresearched languages. While a grammatical description of a previously unresearched language can hardly be representative for any kind of its varieties, it can be adequate in coextensitivity if it covers the linguistic phenomena presented in the corpus. 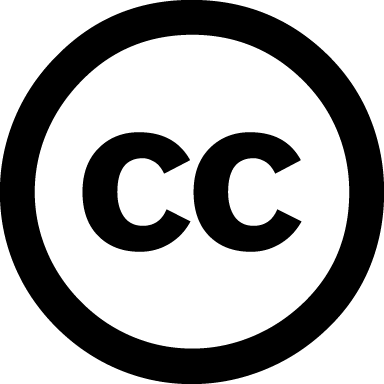 In order to allow other researchers to retrieve the examples in their context and check the analysis, the corpus should not only contain text collections, but also the elicited data, provide metadata, and be accessible to other researchers. Scientific accountability, however, can only be achieved if the description facilitates the replicability of the analysis, which presupposes that the author’s corpus linguistic search methods are documented so that the readers can find other, if not all examples for the described phenomena and scrutinize the search methods, the analysis, and the description. As is illustrated in this paper, a suitable query language for this kind of scientific grammatical analysis and description are the so-called regular expressions which are implemented in the annotation tool ELAN.